After all the hype, I finally saw a 3D movie with my own eyes at the Manchester iMax this week. 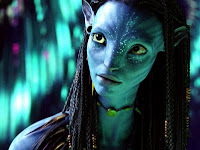 Avatar which is well on its way to becoming the highest grossing film of all time, was a revelation. It may have taken director James Cameron more than a decade to get the technology up to standard but the results are absolutely mind-blowing. Once my senses had finally recovered, it got me thinking. 3D is an exciting new experience and one that the online marketing industry will be watching closely from now on. But just for fun, I thought it would be interesting to look at a few existing ads that would benefit from a 3D makeover. theEword says: One of 3D's main strengths is its ability to make you feel directly involved in the action. T-Mobile Dance is a great example of an ad that relies on audience participation. To start with, a few people dance in Liverpool Street Station before a bemused-looking crowd – so plenty of scope for those over-the-shoulder camera shots that 3D loves. But then more and more people join in and the onlookers spin round to find they've unwittingly become part of the show. theEword says: James Cameron certainly doesn't hold back on the rolling 3D landscapes. The closing credits of Avatar, for example, are displayed over a scrolling backdrop featuring a seemingly limitless jungle. From an advertising perspective, the Citroen C4 Transformer ad set on a frozen lake would definitely benefit from this characteristic of 3D. The distant out-of-focus trees would make the lake seem bigger than ever, while the Citroen C4 would really come to life in the foreground. theEword says: H20 holds up spectacularly well in 3D. The sight of perfectly formed spheres of water spinning across your field of vision is truly awe-inspiring in Avatar, and nowhere would this provide a better fit on TV than the legendary Guinness surfer ad. Perhaps the greatest ad ever, it makes liberal use of visceral slow-motion footage of the surf that is tailor-made for 3D. theEword says: Improved depth perception is a key part of the 3D experience. Judging distances is especially useful at the end of long, narrow sets such as the Cryosleep chamber in Avatar and the caged 5-a-side pitch on The Secret Tournament ad from Nike. Nothing would bring home the ship's claustrophobic atmosphere quite like 3D, making you feel closer than ever to stars like Ronaldo, Luis Figo, Francesco Totti, Paul Scholes and Roberto Carlos. theEword says: It has to be said that 3D technology isn't the cheapest right now. Avatar is the most expensive film ever made and 3DTVs typically cost at least £200 more than their HDTV counterparts. In other words, it's going to need a huge advertising budget to make a 3D ad anytime soon. One of the most expensive ads of recent years was the Hovis – Go On Lad campaign, which was recently named Ad of the Decade. It charted 122 years of history in 122 seconds, and we would pay good money to see those Spitfires, street parties and miners' strikes again in 3D. So those are the 5 classic ads that should go 3D, according to theEword. But we'd love to hear what you think should have made the list. How about the Carling street football ad? Or the Santander Scalextric ad? Or even the Tango Orange Man ad?